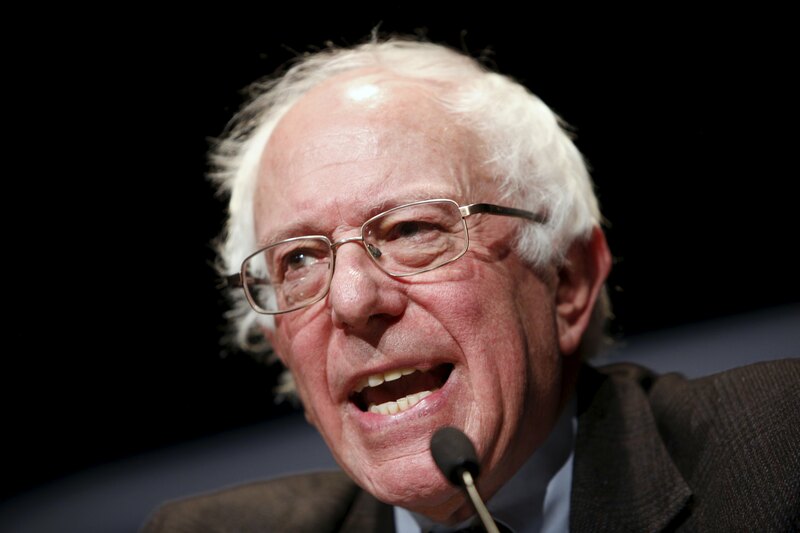 Democratic presidential candidate Bernie Sanders on Friday explained his plan for national paid family leave, stressing that -- unlike front-runner Hillary Clinton's plan -- it mirrors the family leave bill that Democrats have put forward in Congress. Both Sanders and Clinton support 12 weeks of paid leave, but the two candidates disagree on how to pay for the measure. Sanders would pay for it with a $1.61 payroll tax -- the Democrats' Family Act would also be funded through payroll tax contributions. Clinton's plan, meanwhile, would be paid for with a tax on the wealthy. In Cedar Rapids, Iowa on Friday, Sanders charged that Clinton considers a $1.61 payroll tax on the average worker "too high a price" for three months of paid family and medical leave. "I strongly disagree with that," he said to applause, noting that payroll taxes pay for Social Security and Medicare. "The strength of a very small and modest increase in the payroll tax enshrines these pieces of legislation into our country, makes every worker own this legislation," he said. By enacting the law with a tax on the wealthy, "maybe it will be gone next year," he said. In a statement released Thursday, senior policy adviser Ann O'Leary defended Clinton's position, arguing that the United States can provide family leave "without asking working people to pay for it. Her view is that we can ask the wealthy to pay their fair share in taxes and that will cover paid leave." She added that Clinton "was on the front lines of passage of the Family and Medical Leave Act and has been fighting for paid leave for decades."